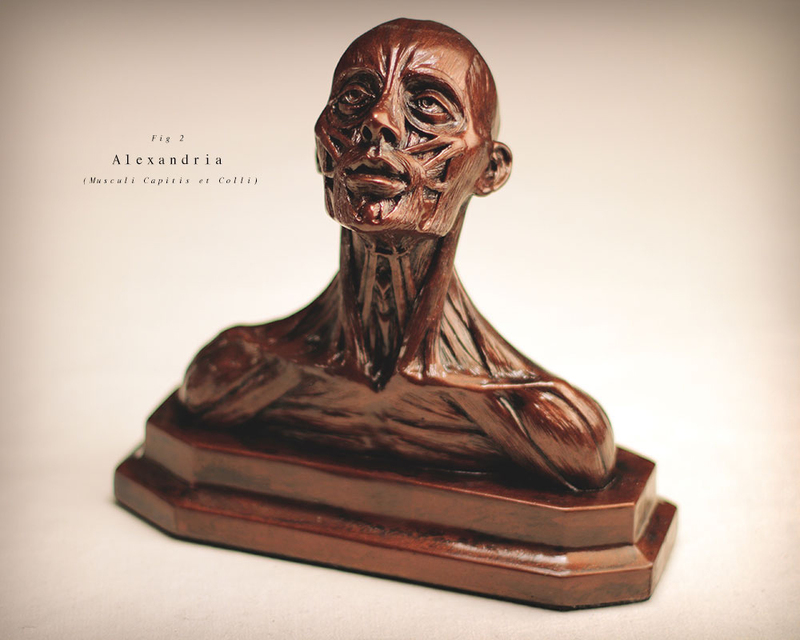 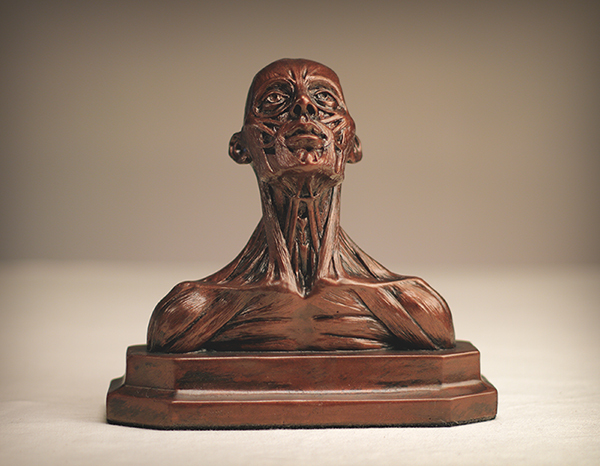 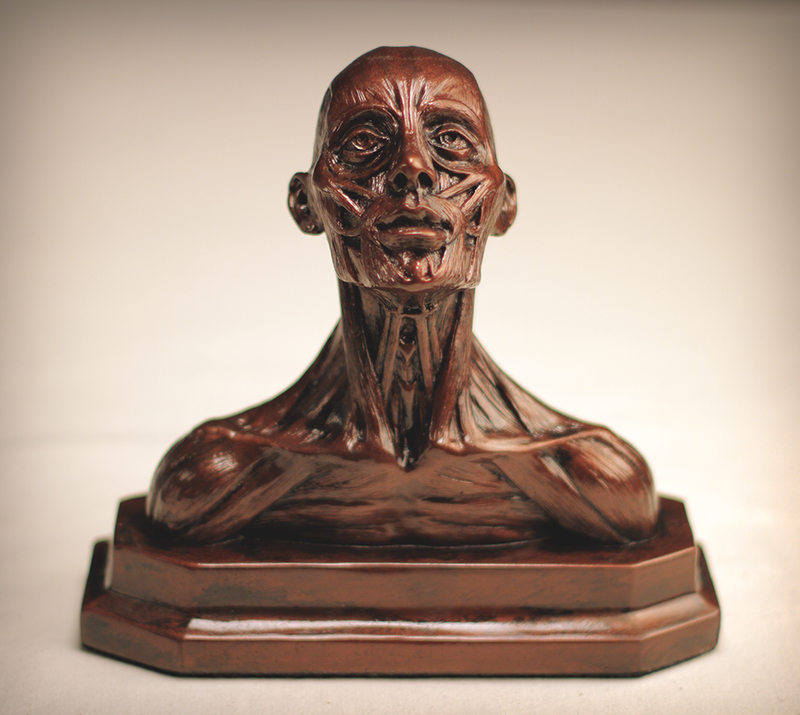 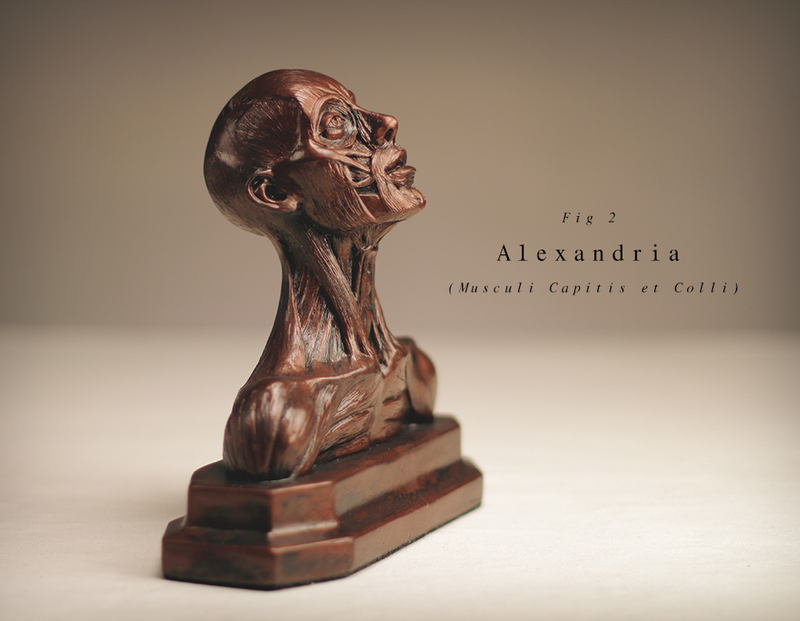 Alexandria is hand cast from an exceptionally detailed sculpture of the muscles of the head and neck of the human female. 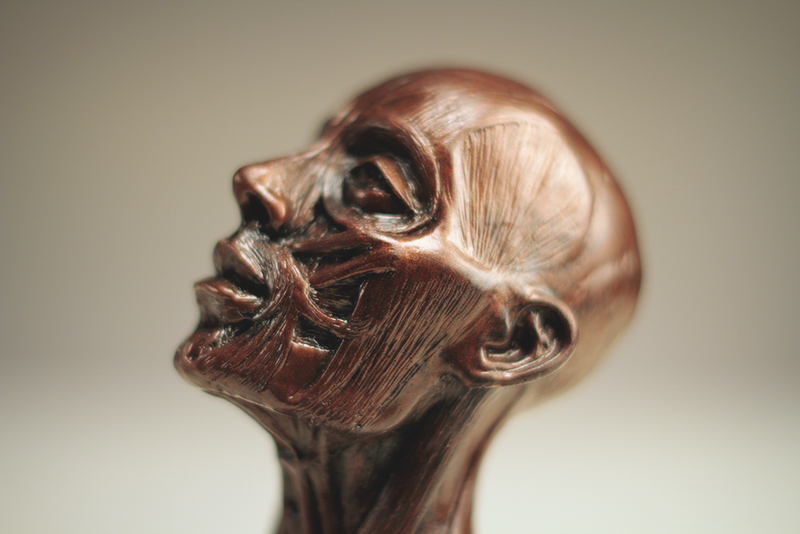 This figure is 16 cm tall on a base 5 X 6 X 23 cm . 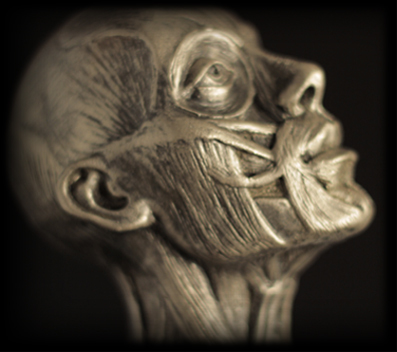 It is cast in cold-cast bronze . 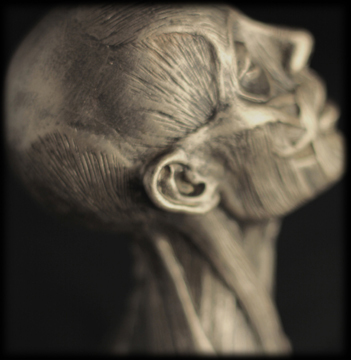 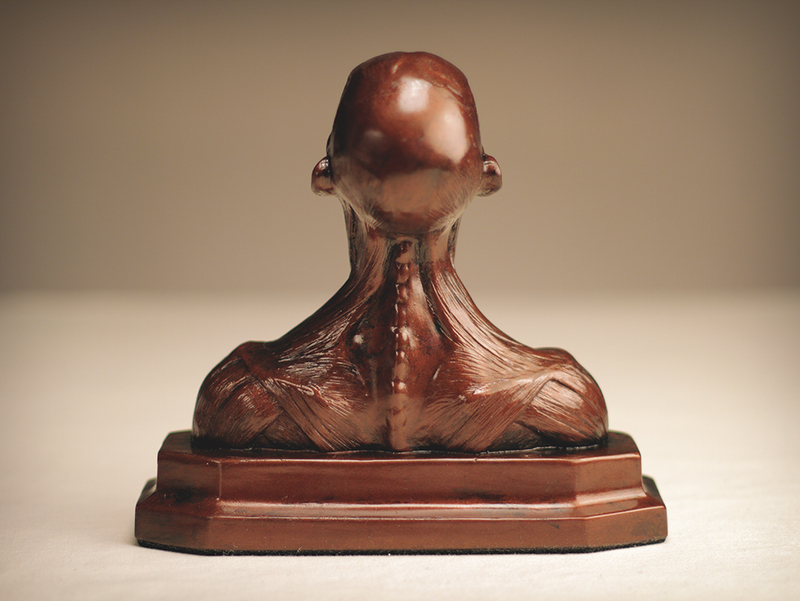 A master sculpt of the complete superficial musculatture of the adult human female. 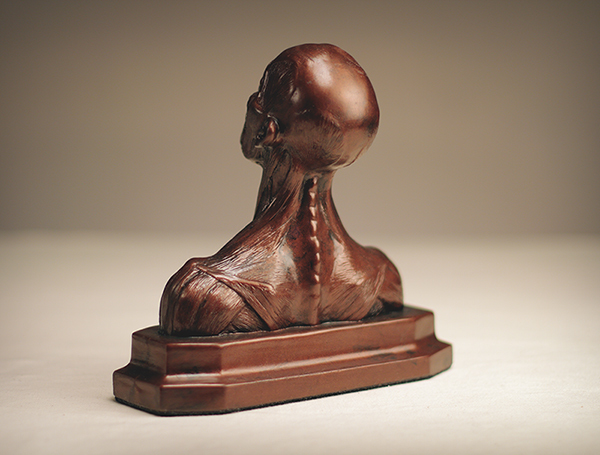 head and shoulders .